Ensuring customer loyalty is all about process. Create a seamless experience for your customers from first engagement, through the sales process and into after-care, and your business will reap the benefits of a loyal and satisfied customer base. One of the best ways to do this is through contact centres. An often underplayed and underappreciated sector of many businesses, this powerhouse of customer engagement provides your company with the perfect opportunity to connect with customers. A good service agent will leave your customers with that glowing satisfaction that comes with a good service experience. The question is: what does a good contact centre look like? 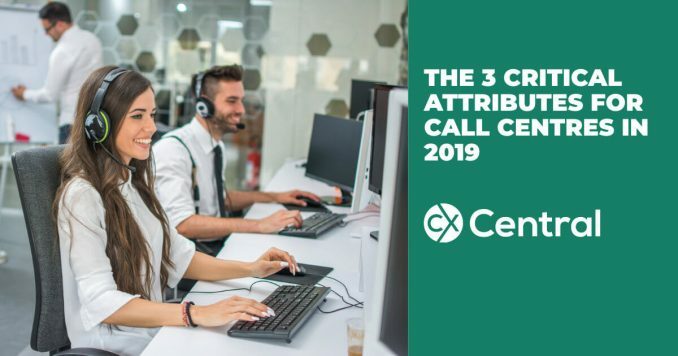 While there are many attributes of a good contact centre, I’ve picked out the top three that I think are the most important. Customers of today are, more than ever before, looking for more ways to connect with companies. Customers want easily accessible, fast, convenient contact. On top of this, many customers prefer different forms of communication. Millennials, for example, overwhelmingly favour web chat communication, with 56% preferring live web chat to phone communication. Older generations sway more towards traditional contact forms, such as phone communication according to tech consulting company Software Advice. In order to reach all these customers and provide them with the most enjoyable service possible, companies must tailor their contact centres to provide communication in many forms. With so many communication channels available to companies, all of which are reasonably easy to implement, there is no excuse for single-channel communication. Companies must adapt to the omnichannel communication movement, or run the risk of alienating customers. The truth of the matter is that your company can have the best technology, best systems, and most diverse range of communication channels, but if the agents operating these factors aren’t performing, the company may as well be throwing money down the drain. Your service agents are the most important part of the contact centre. They are the heart and soul of any customer interaction and can determine the success of your company across all platforms. The best service agents are those that have been trained consistently, and those agents that are happy in their job. In our world of rapid technological advances, agents must be constantly informed and updated on the most cutting-edge service protocols. Companies must invest in their service agents through consistent training that goes beyond the initial introduction, allowing employees to improve and learn in a supportive environment. On top of this, they must be in a workplace that encourages and rewards good service. This is very easily implemented, as a good communication technology will allow your company to measure agents success. If your service agents are held accountable for their results and receive recognition for success, your company will not only increase retention of your talented agents, but also encourage an attitude of service excellence as a norm. Provide the opportunity for upward mobility based on merit and service excellence, and you will create a workplace culture of excellence, based on satisfied agents and satisfied customers. Of course, to have your service agents accountable for their customers satisfaction, your contact centre must have the means to measure efficiency, satisfaction, and improvement areas. The easiest way to implement this is to source communication channel providers who incorporate analytics into their technology as part of the product package. An analytics dashboard or similar by-the-minute service measurement display should be available, not just to management, but also to the agents themselves, so they are able to improve and adapt their approach to meet standards. Additionally, measurable results can help your company track the effectiveness and reach of different communication channels, and adjust spending and allocation appropriately. By ensuring your contact centres are functioning smoothly to ensure the best possible engagement with customers, your company can boost satisfaction and ultimately, boost profit. An inbound contact centre with 250 agents can save nearly $235,000 annually (or the equivalent of seven full-time agents), by increasing first call resolution (FCR) by only 5 percentage points, from 75% to 80%. Find technology, consultants and trainers that can improve your contact centre performance in our Business Directory. Read articles on how to improve your customer experience.